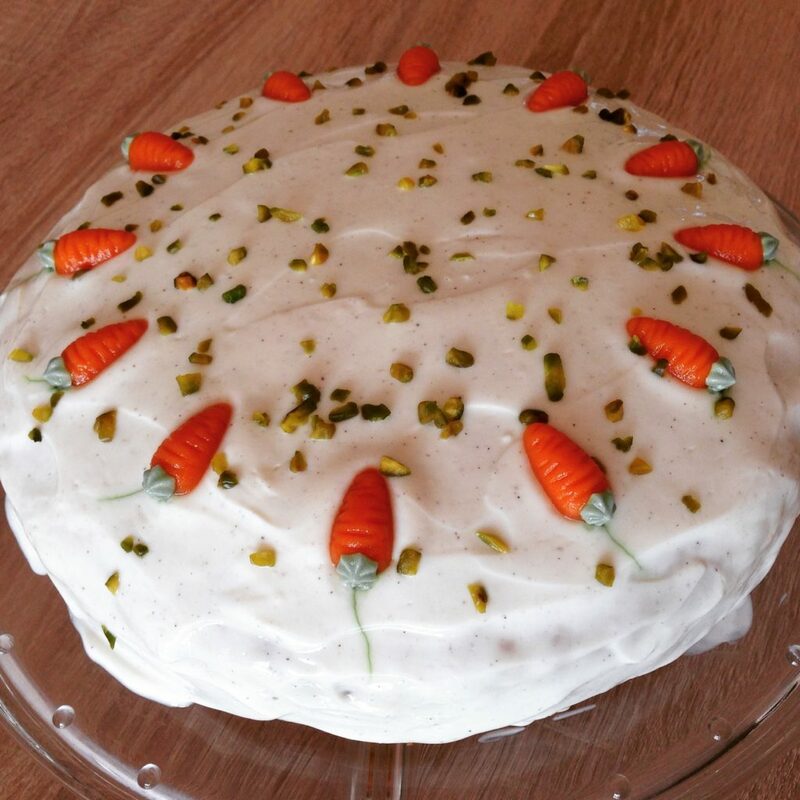 Just in time before the Easter-Weekend I’m revealing my favorite carrot cake recipe. 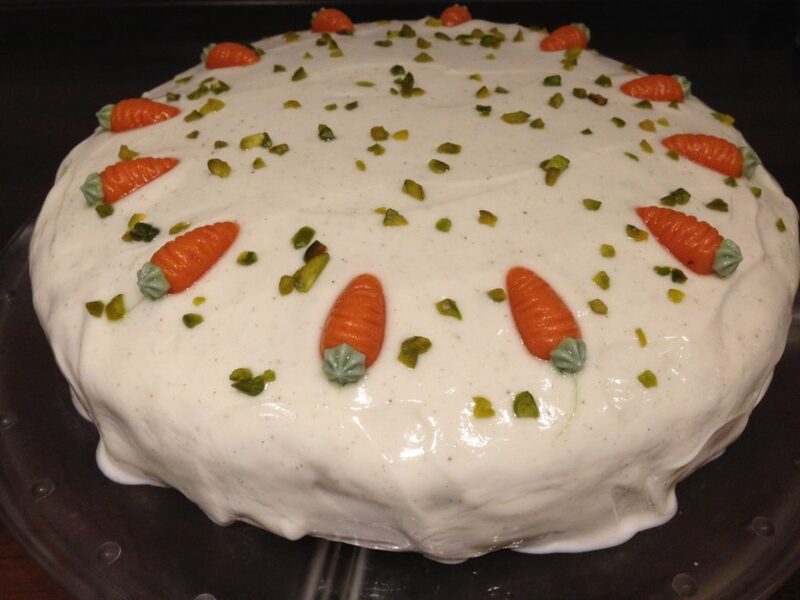 For those of you who don’t know carrot cake: no worries, it doesn’t taste like carrot at all, it tastes really fresh and sweet! 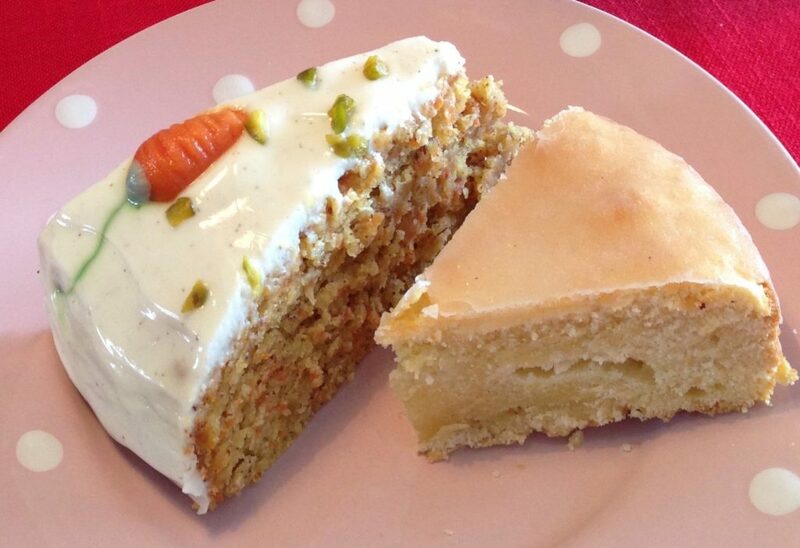 Mix sugar, eggs and oil with a hand mixer or kitchen machine and add the grated carrots and the ground almonds. Mix flour with baking powder and cinnamon and also add it to the mass while stirring. Grease a springform pan and fill the mixture inside. Bake for 50 minutes (test with a skewer). The cake tastes best when you bake it a day or two in advance and let it sit at room temperature to become even more juicy. 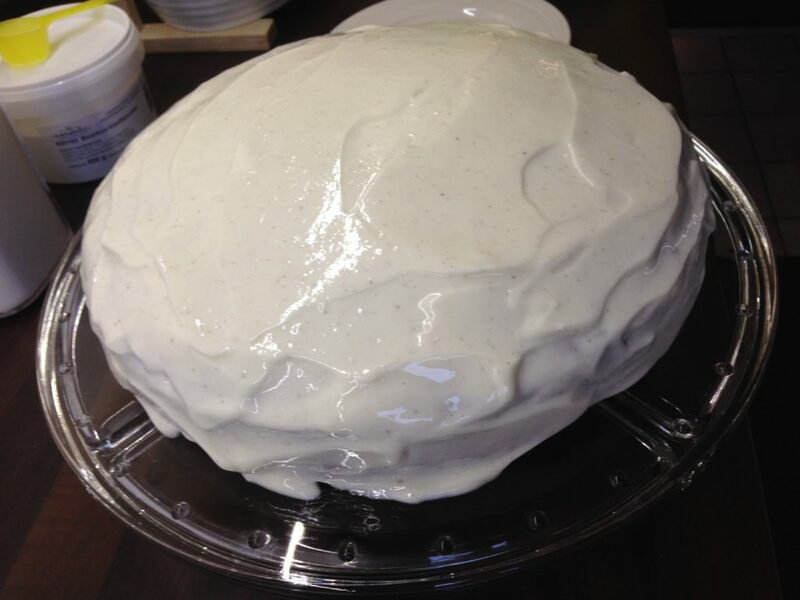 However, the frosting is something you should make the day you want to eat the cake – just in time for the whole thing (cake with frosting on it) to be left in the fridge for another few hours to cool before you serve it. And this is how its done: Put cream cheese and lemon juice in a bowl and mix it with a hand mixer or kitchen machine. Slowly but constantly add powdered sugar and vanilla sugar. 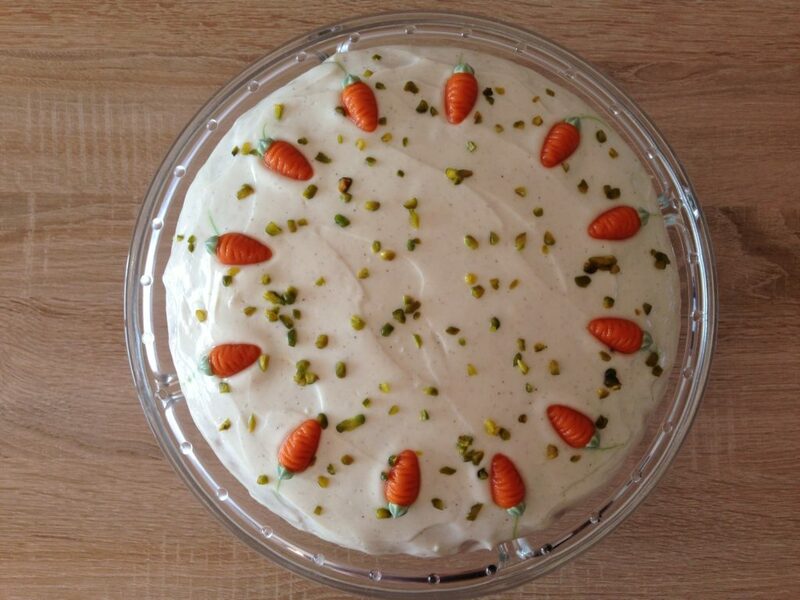 In case you want to decorate the cake the same day you bake it: wait until the cake is completely cooled! 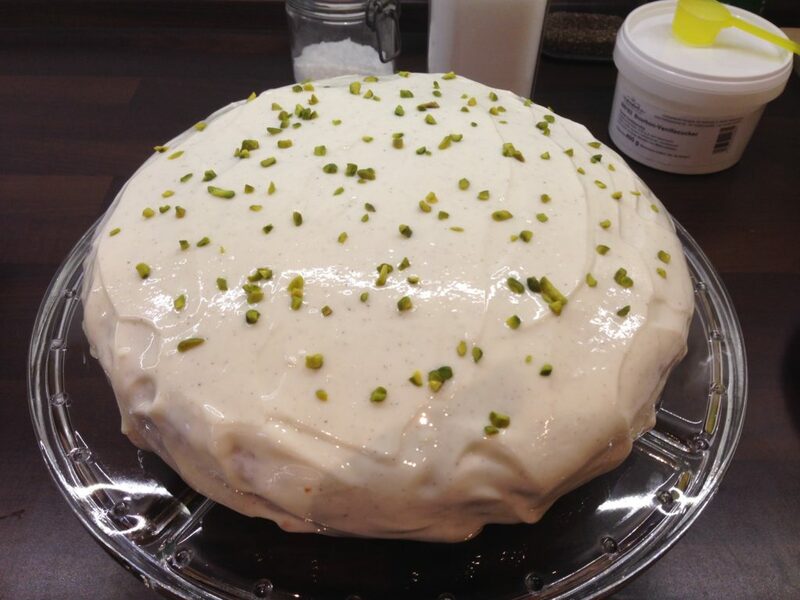 Coat your cake with a frosting spatula (if you don’t have one, not a problem – I even did it with a cake shovel once), spread a few pistacchios on top and put it in your fridge for an hour at least.